Adobe Photoshop CC – program for processing raster graphics. Many graphic formats are supported. Adobe Photoshop allows you to both create new images and edit them. Photoshop is used to create photorealistic images, to work with color scanned images, for retouching, color correction, collage, graphics transformation, color separation, etc. Who has an Illustrator or another-be careful with the patch. Interface language: Russian, English, Spanish, French, etc. Affinity Photo redefines the boundaries of professional photo editing software on Mac. With a thorough workflow orientation, it offers sophisticated tools to enhance, edit and retouch your images in an incredibly intuitive interface with all the power and performance you need. Professional graphic design app for Mac. Affinity Designer is the fastest, most convenient and accurate vector graphic design software on the market today. Whether you’re working with graphics to create ads, websites, icons, UI design, or just love to create cool conceptual drawings, Affinity Designer will revolutionize your workflow. components (Exposure X, Snap Art 4, and Blow Up 3) can each be used as a plugin. A collection of all the latest released at the moment graphic filters by Alien Skin Software for Adobe Photoshop, Lightroom, Photoshop Elements and Apple Aperture. These filters will be useful for both beginners and professional users of these graphic editors. With them you can easily and accurately process or decorate your picture. Perfectly Clear – a powerful plug-in for Adobe Lightroom and Adobe Photosop from the company Athentech Imaging of a series of “do I quickly and beautifully,” allowing only a couple of clicks of the mouse to adjust the pictures to perfect in the automatic mode, and correct them manually. Digital cameras have limitations that lead to such distortions photos: illumination, lack of richness and depth of color, neoexpressionist, opacity, blur, poor skin tone, “red eye”, noise, etc. Perfectly Clear Plug will fix these flaws automatically or in manual mode using its own proprietary technology, which embodied 10 years of research and more than 10 patented adjustments. Process RAW and JPEG images in the best quality without difficulty: DxO PhotoLab provides a complete set of smart corrections that you can adjust manually at any time. Take control of your photos: effectively remove noise, correct lighting, restore color details, correct optical distortions and improve detail. Give your photos special touches using corrections only for the necessary areas of the image thanks to the exclusive DxO Local Adjustment Tools technology, which includes: control points (U Point technology), gradient filters, manual and automatic brushes, automatic recovery, and more. Thanks to CADtools, Adobe Illustrator is an excellent computer-aided design (CAD) system. Draw in any scale, edit, and the job of size in vector graphics, a lot of anchor points and control elements – all this is possible thanks to 92 instruments and 12 groups that are elegant, lightweight and powerful for easy and original design! 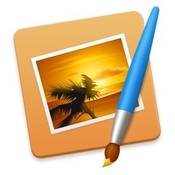 Pixelmator is a powerful image editing tool that actively uses the processing power of the graphics card. It offers selection, drawing, hatching, navigation and color correction tools, supports multi-layer images, GPU-based drawing processing, color management, automation, and has a stylish “transparent” interface. SkyLab Studio-will change your view of the sky in the photo. Imagine the stunning sky in your photos with this innovative new app. You can easily replace the sky in your photos with innovative controls. Choose from a huge collection of content, add extra objects to your landscapes such as trees, birds, single clouds, the moon, and more. Use innovative controls specifically designed to edit the contents of the sky. Save your designs and export images. Share your creations on your favorite social networks. SILKYPIX Developer Studio Pro is a powerful program that is designed to edit, process and convert digital photos in various formats. SILKYPIX Developer Studio Pro has many professional features and allows you to efficiently convert files in RAW format. With this powerful tool you will be able to solve many problems related to the conversion of RAW to various formats and discover a whole new world of digital photography. The program will help you adjust the color balance, tone, saturation, brightness and contrast, will show EXIF information of the selected photo, will allow you to convert to different image formats, and more.